During the filming of my special, Lidia Celebrates America – Holiday for Heroes, I had the great pleasure of meeting Marine Mike Dowling. He shared with us the wonderful story of his dog Rex. Rex was a German Shepherd and a military working dog. Mike credits Rex with saving his life, more than once. 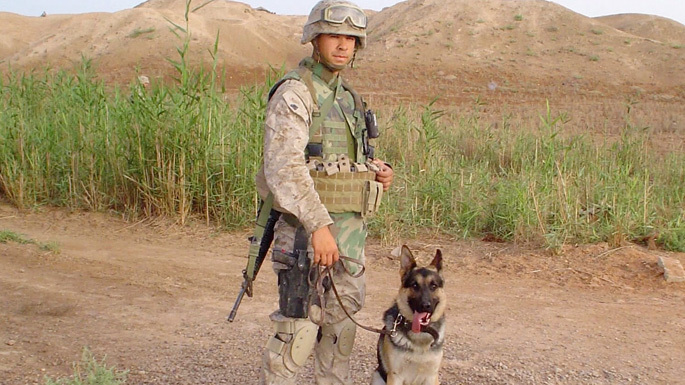 Once Mike came home from serving in Iraq, Rex stayed on for two more deployments. Mike told me, “I came home in large part because he did his job, he found bombs, he found caches, he kept us alert to danger.” Saying goodbye was hard for Mike – so on their last day together, Mike bought Rex a steak and Mike sat with him while his loyal dog ate. It was such a touching story. Because steak was one of the things that Mike missed most when he was away from home, I made a steak for him. While this isn’t a classic romantic story for Valentine’s Day – it was so clear to me that Mike shared a love and real bond with this wonderful life-saving dog. Filetto, or filet mignon, is one of the most voluptuous of all beef cuts, and because of its popularity and ease of preparation, there are a great many recipes for it. Here is a zesty Italian way of preparing filet mignon, simple but -mouth–watering. In this recipe, the complexity of flavors in the sauce comes from the reduction of the balsamic vinegar. 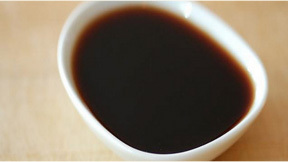 The traditional balsamic vinegar is delicious but expensive, so when making this reduction, use one of the different offerings of balsamic vinegar you find in the grocery store; it will yield a great sauce. If you feel extravagant and have one of those little precious bottles of the Balsamico Tradizionale—seven years old, aged in wooden casks in the solero method—instead of making the reduction from the commercial balsamic vinegar, just drizzle some of the Tradizionale over the filet. The Balsamico Tradizionale, made by selected producers, is always sold in the signature bottle with an onionlike base. The bottlers are different, the bottle shape the same and the product sublime. In the meantime start the balsamic vinegar reduction. In a medium saucepan, combine the vinegar, carrots, celery, onion, bay leaves, and rosemary needles. Bring to a boil, and simmer until the vinegar has reduced by half, about 30 minutes. Strain the vinegar into a clean saucepan, and keep warm. Discard the vegetables and herbs.